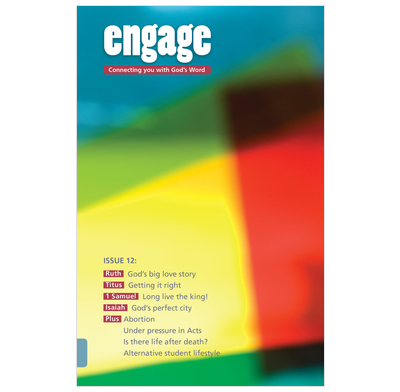 Issue 12 of Engage looks at Ruth, Isaiah, Titus, 1 Samuel and Acts. Issue 12 of Engage - daily Bible reading notes for teenagers. This issue looks at Ruth, Isaiah, Titus, 1 Samuel and Acts. There are also articles on Abortion, explaining grace, Life after death, and how we live a changed life. • What’s grace all about?